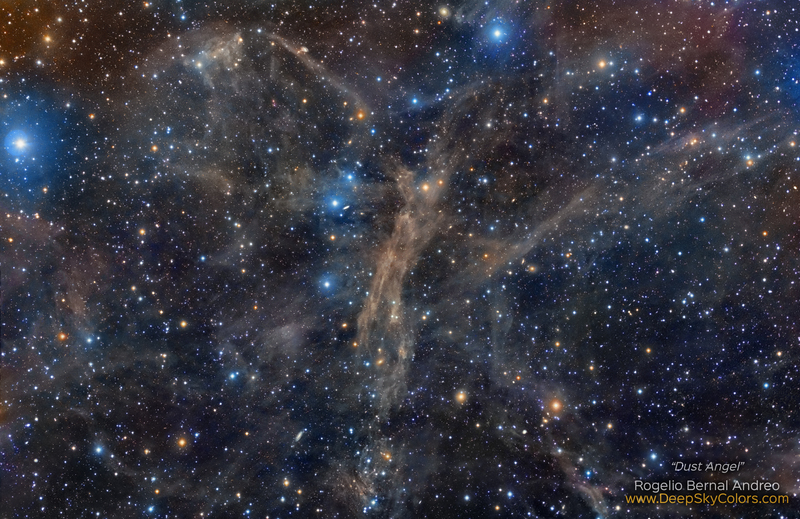 For most people, this is just an image of a fuzzy and messy nebula. Well, it is, but it's also a bit more than that. A typical astroimage of this area of the sky would mostly show the stars you see here, and not much more. All the dusty structures in this area would mostly remain invisible. Why? They're really really faint. So I threw about twice as much exposure time as I did six years ago, and tried to better it myself. I think I did. Not only that, there's still plenty of room for a better version. Now, since all this dust is clearly "disorganized", having more of it visible only makes for a messier battlefield.